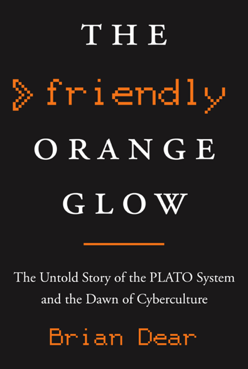 My book "The Friendly Orange Glow: The Untold Story of the PLATO System and the Dawn of Cyberculture" published by Pantheon Books, is now available for pre-order on a number of e-commerce sites. The book will be in stores on November 14, 2017, so we still have a few months to go. More details will be forthcoming here and on the official book site, friendlyorangeglow.com.